Nice Price Or Crack Pipe: The $23,500 Renault Alpine A310? With the $39,500 Renault R5 Turbo getting a Nice Price vote on Friday, we're going to see if French factory hot rods can get the nod from our readers twice in a row. The Alpine A310 for 1984 had a V6 in the back, wild what-the-hell-is-that styling, and a top speed pretty close to 140 MPH, which was pretty good for its time. This one has only 39,000 miles on the clock and looks very nice. These cars sold new for around $30,000- about 77 grand in '09 dollars- and they're quite rare even in Europe nowadays. $23,500 for one, though? What do you think? 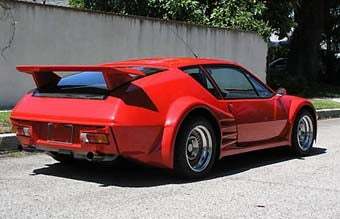 Is $23,500 a Nice Price for a 1980 Renault Alpine A310?